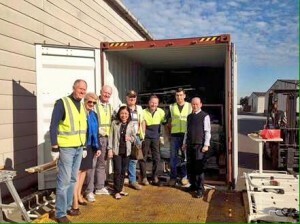 Our Rotary Club is proud to be a member of DIK Inc the major sponsor of Donations In Kind West Footscray. The members of this group pay the rent and contribute the majority of the $50,000pa operating costs. 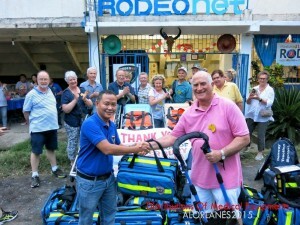 The Store which is wholly run by volunteers is one of Rotary’s great success stories. It recycles quality donated goods and gives them to people in genuine need for free. The DIK volunteers, Rotarians and members of the public, come from a diverse background but all provide valuable service. Some are regulars, some are casual, others come for a Rotary working bee, but all are welcome. They have different passions and interests; some know the people who will receive goods, others are more interested in the recycling aspect. They all enjoy the pleasure of working with people who care and who are prepared to make a contribution. All leave at the end of the day knowing that because of their effort someone will benefit from their work. We also thank the people who collect goods and deliver them to the Store; their labour is not included in the figures above. What will we achieve in the next 15 years? The Store supports four Victorian Districts and has the capacity to do more. Each year more is shipped. The current and potential supply of donations is vast and at times DIK has to reject excellent material because it lack shipping funds. DIK can significantly increase output if it receives more funding. DIK needs more support from the people who have reusable goods to donate. Schools The “Better Recycling Option” encourages them to donate the cost they would incur disposing of their waste. If DIK received this it could double our output. 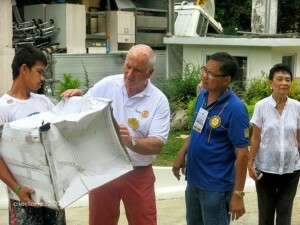 Business waste problems and associated disposal costs can be turned into positive PR opportunities with a little imagination and help from Rotary Clubs. Example; Surplus computers can become the core of a computer training centre in a developing country “proudly sponsored by XYZ Company”. Community attitudes need to be changed. People are very positive about recycling and giving reusable material to people in need. We all need to focus attention on the choice of paying for landfill or using the money to ship the goods to help others. We need to encourage Government to think about this area and examine the benefits of supporting volunteers recycling reusable material and giving it to deserving people in developing countries. We could help more people if the focus was on outcomes as well as dollars and more consideration given to using suitable recycled material as an alternative. The future is in our hands.